Barbie’s boyfriend, Ken, receives a major makeover like Barbie after more than 55 years to reinvent Ken for a new generation of kids and help boost Barbie sales. It’s a diverse world in which we live today. After more than 55 years, Mattel has announced that the iconic Ken doll is finally getting a major makeover in the wake of Barbie’s makeover. Ken will now feature new body types, new skin tones, and hairstyles to better reflect the diversity in our world. 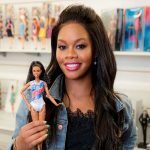 This is huge news in the world of toys, especially with regard to the hot topic of inclusion and diversity. The new doll line with be called the Ken Fashionistas Dolls. Barbie first underwent a major makeover in 2016, which was a reinvention of an icon, and now it’s time for Ken to get with the times. Mattel has introduced at least fifteen different versions of their new Ken doll. There’s one with a man bun and another with cornrows. There will be nine different hair styles to choose from. Talk about a diverse range of hairstyles. Ken will also come in different nationalities, reflected by different skin tones. In fact, there will be about seven different shades. And Ken will also receive a more muscular build as well. In all, there will be three body types – slim, broad, and original. In addition, Ken will feature new fashions: plaid shirts, graphic t-shirts, and even skinny ties. Ken has long been known for his blond hair and chiseled looks. In fact, it’s been 56 years since Mattel has drastically changed things up for Ken. This diverse makeover redefines Barbie and Ken for a new generation of children, according to Mattel. This makeover comes at a time when sales for the iconic Barbie and Ken dolls have sagged about thirteen percent in the first quarter of 2017 in comparison to the same period in 2016. So clearly, it is an opportunity to take action to turn this trend around. This appears to be an attempt to rejuvenate sales and draw kids’ attention away from iPads. Hello Barbie Hologram also appears to be an attempt to reinvent Barbie for a new generation and help steer their attention away from iPads. In addition to these strategies, next year they have a live-action Barbie movie in the works to hopefully help further drive Barbie sales. A few of the new Ken dolls have already begun rolling out online and at retailers across the nation for about $10-$12 each. Fans can expect the full Ken assortment to be available for the holidays. 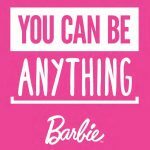 At Toy Fair 2017, the Barbie Fashionistas line announced new looks for Barbie as well. The idea is new friends and fashion will translate into new fascinating stories. This overhaul for Ken was long overdue and it’s about time Ken caught up with the times and better reflects our diverse society today. It only makes sense when Barbie has seen new body types, hairstyles, and skin tones to have a corresponding Ken doll to play with in our kids’ imaginary play worlds. Studies have shown that kids have a greater connection with their dolls when they look similar to kids and this can, in turn, lead to more amazing play. Barbie has been getting all the attention in recent memory with her dramatic makeover. Do you think Barbie’s boyfriend will receive more attention with this major makeover? What do you think about Ken’s makeover? Which is your favorite new Ken doll? Let us know in the comments.